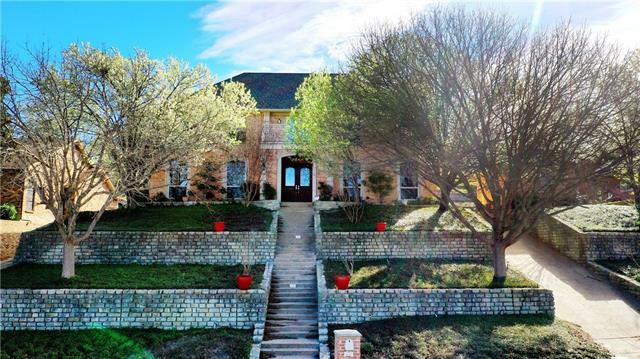 All Benbrook homes currently listed for sale in Benbrook as of 04/24/2019 are shown below. You can change the search criteria at any time by pressing the 'Change Search' button below. 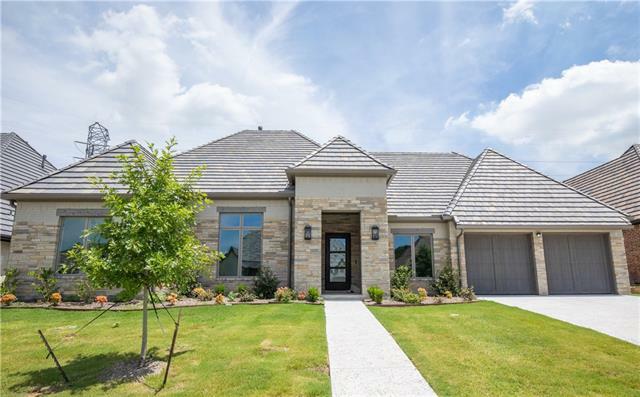 If you have any questions or you would like more information about any Benbrook homes for sale or other Benbrook real estate, please contact us and one of our knowledgeable Benbrook REALTORS® would be pleased to assist you. "Extraordinary Mediterranean constructed by Integrity Homes in 2017. 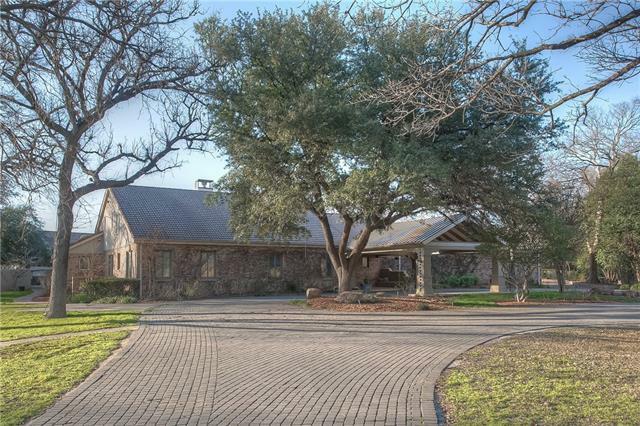 Situated on an oversized corner lot in gated and 24-hour guarded La Cantera. 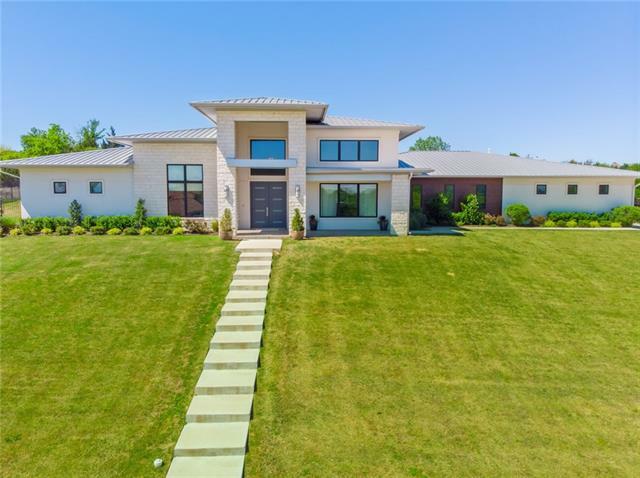 The home s light & bright interior features an open, functional floor plan, beamed ceilings, archways, custom built-ins, hand painted tiles, custom drapes & window treatments, sonos surround sound, whole house water filtration. 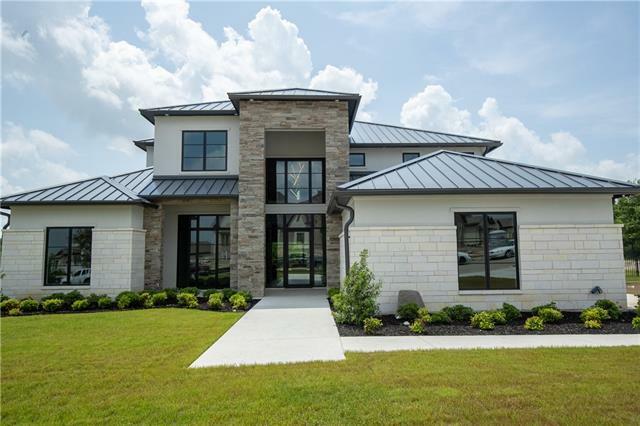 The main floor includes master suite with dual baths & 3 additional bedrooms, study, open kitchen, living, casual dining, for"
"Hill Country Contemporary. 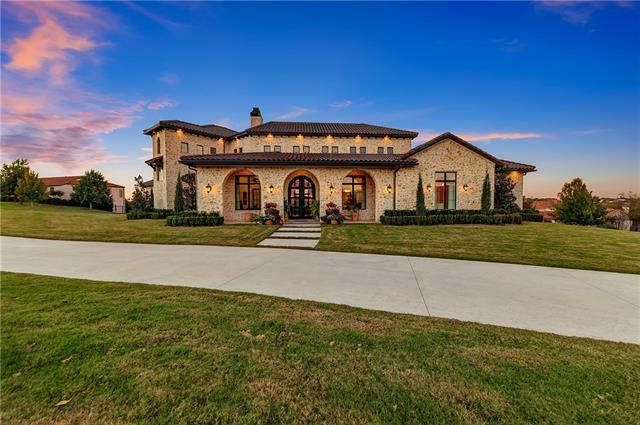 Constructed atop a hill by Braswell Homes in gated and 24-hour guarded La Cantera at Team Ranch. Fort Worth Magazine s Fall 2017 Dream Home is super efficient & packed with the latest amenities & features. Open concept, inviting & perfect for entertaining, the home flows perfectly from room to room. In the kitchen, a 400+ bottle wine closet enclosed in glass, Sub-Zero refrigerator & wine fridge, Wolf oven, steam oven & gas cooktop with grill. First floor guest & mast"
"Gorgeous one story custom Contemporary home that sits on a beautiful 1.53 acre lot. Every attention to detail completes this home with wood and tile floors, decorative lighting, soaring ceilings and lots of large windows that provide an abundance of natural light. This home has very open spaces, clean lines and is a great floor plan with master suite and office on one end and secondary bedrooms on the other. The large kitchen has Thermador appliances, built in refrigerator, over-sized center "
"Stunning traditional in gated & 24-hour guarded La Cantera at Team Ranch. Situated on an oversized, cul-de-sac lot w circle drive, Porte-Cochere & 4 car garage. On the first floor, formal dining & living w fireplace, study, game room with wet bar & adjoining media room, guest & master suite w custom built-ins, sitting area & spa-like bath w walk-thru shower, soaking tub, his & her vanities & walk-in closets & secret closet. 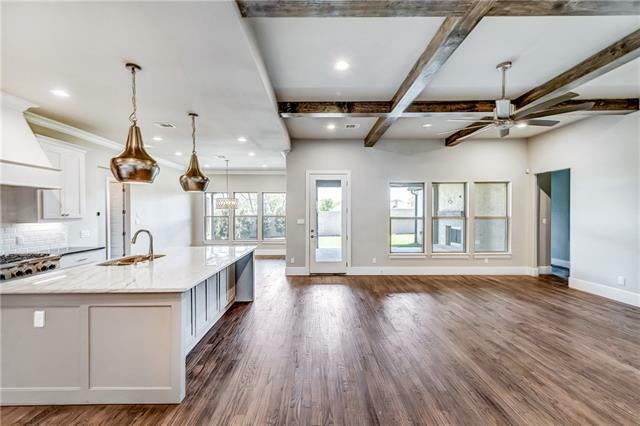 Eat-in kitchen boasts a center island, commercial grade appliance, butle"
"Extraordinary NEW CONSTRUCTION by JAAVA Custom Homes in the gated and 24-hour guarded La Cantera at Team Ranch. Quality craftsmanship & designer finishes throughout. Featuring 5 bedrooms, 5 full &1 half bathrooms, split-level study, dining, wine room off living, media room, game room & oversized 3-car garage. This home makes for entertaining effortless! 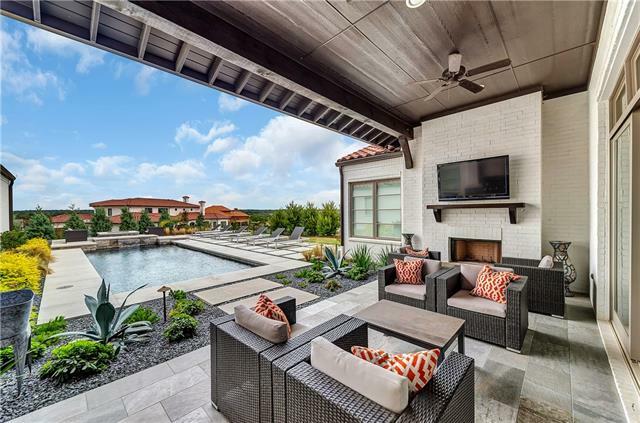 Chef's kitchen opens to living area & comes complete with Thermador appliances, quartz counters, island, pass thru pantry & separate appliance r"
"Transitional Mediterranean sited on an elevated lot in gated & 24-hour guarded La Cantera at Team Ranch. Featuring an open, light & bright interior, functional floor plan, wood beamed ceilings, blackout shades, gas fireplace, decorative lighting, & multiple indoor-outdoor entertaining spaces. In the kitchen, stainless steel appliances, quartz counters, open to casual dining & living area. Wet bar w wine chiller & fridge. Master suite w sitting area & spa-like bath. Study w custom built-ins. 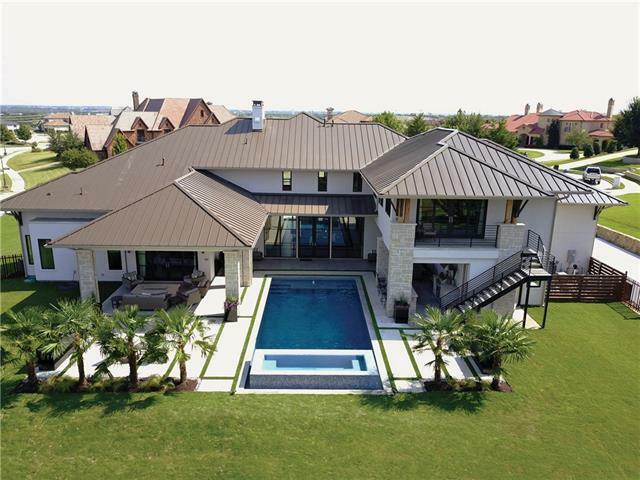 Spac"
"Stunning new custom home by JAAVA Custom Homes in the gated and 24-hour guarded La Cantera at Team Ranch neighborhood. Quality craftsmanship and finish out featuring 5 bedrooms, 5 full and 1 half bathroom, media room, game room, study, and 4 car garage. Chef's kitchen opens to living area & comes complete with breakfast area, quartz counters, center island, walk-in pantry, butler's pantry, coffee bar & top of the line appliances. On the first floor, media room, game room, study, guest suite & ma"
"New transitional-style home sits on prime elevated lot in La Cantera at Team Ranch. Open concept plan features 2 living spaces, separate office and study, and bathrooms en suite with each bedroom. Numerous upgrades include epoxy garage floors, fine stone and mosaic tilework, and surround sound entertainment. Oversized back patio is ideal for entertaining and includes gas grill and fireplace, as well as space for swimming pool." "5 acre Southwestern Ranch Style Hacienda Estate with space for entertaining and living large! Enter at the gate and meander over the covered bridge to the porte-cochere where you are welcomed by a covered porch entry. There are 4 bdrms down, 3.5 baths, 2 lvg and a cook s dream kitchen. Upstairs has 1 bedroom, huge game room, a fireplace and full bath. Out back is a sparkling salt water pool, lg covd porch, ANOTHER Fireplace and pool house, w full bath, kitchenette AND YET ANOTHER Fireplace! 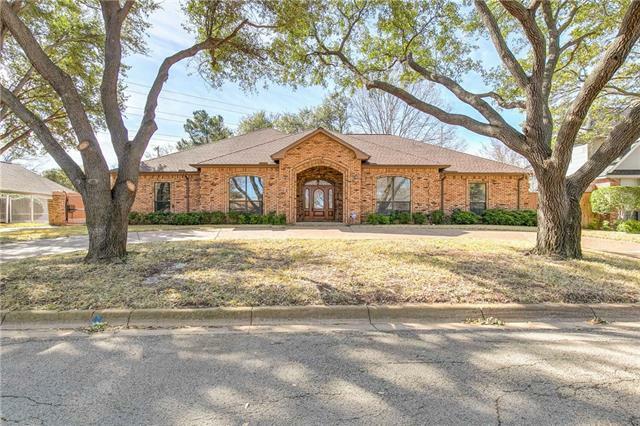 EX"
"Large 5-bedroom home on quiet street in the private guarded and gated neighborhood of La Cantera at Team Ranch in Benbrook, perfectly situated on a hill overlooking Fort Worth. More than 4,300 square feet, open floor plan, high ceilings, large windows with great views and natural light. Spacious living room opens onto a dining room with fireplace and custom lighting. Hardwood floors, rounded entryways, exposed beams give this home a finished feeling. 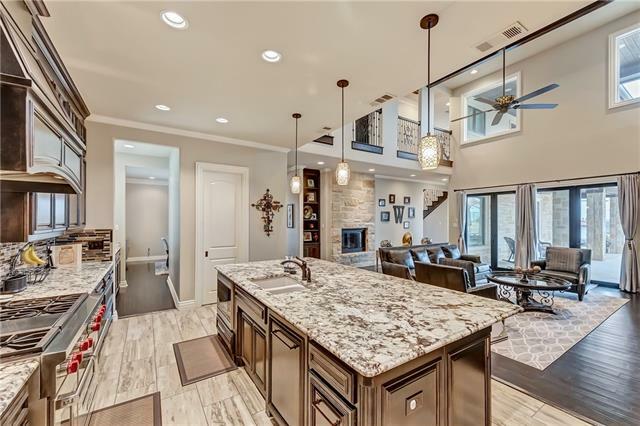 Chef s kitchen includes granite countertops"
"M the Builders NEW CONSTRUCTION in the 24-hour guarded-gated La Cantera at Team Ranch featuring a light & bright interior, flexible floor plan, detailed craftsmanship & quality name brand tiles & flooring throughout. Kitchen opens to dining & living & includes granite counters, tile backsplash, large center island, double ovens. Spacious living area with beamed ceilings, fireplace & built-ins. First floor master & guest suites, study, formal dining, utility & mudroom. 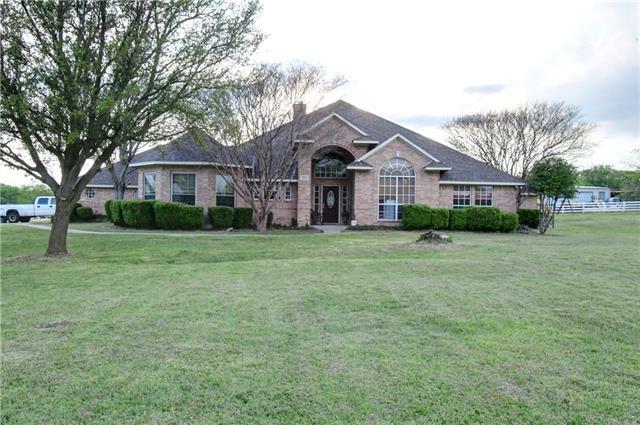 Large master with custom wa"
"Country living within 5 minutes from town, perfect location with over 9 acres of land near Benbrook Lake, 40 X 100 square foot shop with office and bathroom, Custom home with over 4000 square foot of living, Spacious and Open floor plan , 42x24 Living room with pool view, Sunny Island kitchen with granite counters, stainless appliances, tile back splash, pantry, double oven and wood floors, large bay eating area, second living area with see through fireplace, private split master bedroom with j"
"Stunning new construction by M the Builders in the 24-hour guarded-gated La Cantera at Team Ranch featuring a light & bright interior, detailed craftsmanship, name brand tiles & flooring throughout. Kitchen opens to dining & living & includes granite counters, large center island, double ovens. 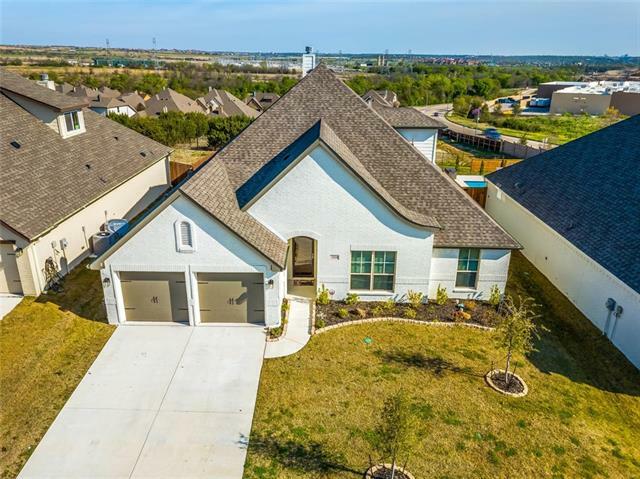 Homes features include an open floor plan, study, spacious living area with fireplace, wood beams & built-ins and an oversized utility with tons of cabinet & counter space. 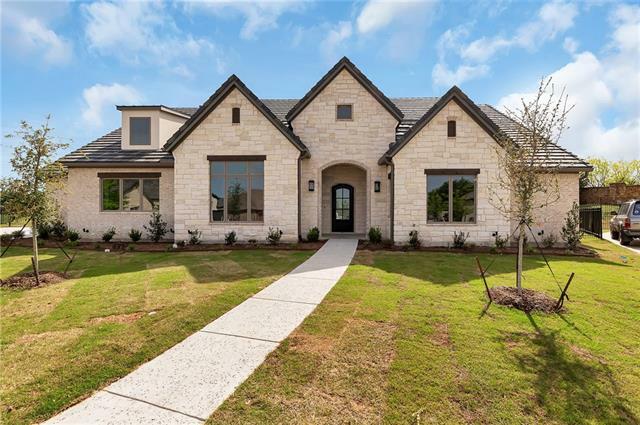 Split master suite with custom "
"M the Builders NEW CONSTRUCTION in the 24-hour guarded-gated La Cantera at Team Ranch featuring a light & bright interior, detailed craftsmanship, quality name brand tiles & flooring throughout. Kitchen opens to dining & living & includes granite counters, tile backsplash, large center island, double ovens. Homes features include an open floor plan, study, spacious living area with fireplace. Split master suite with custom walk-in closet and wardrobe. 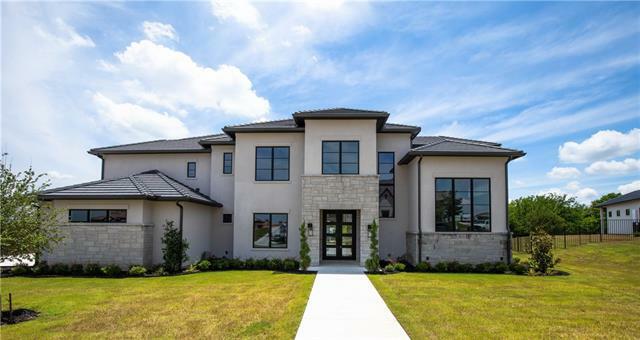 4th bedroom could be a game, media room or 2"
"M the Builders NEW CONSTRUCTION in the 24-hour guarded-gated La Cantera at Team Ranch featuring a light & bright interior, flexible floor plan, detailed craftsmanship & quality name brand tiles & flooring throughout. Kitchen opens to dining & living & includes granite counters, tile backsplash, large center island, double ovens. Homes features include an open floor plan, study, spacious living area with fireplace. Split master suite with custom walk-in closet and adjoining exercise room. 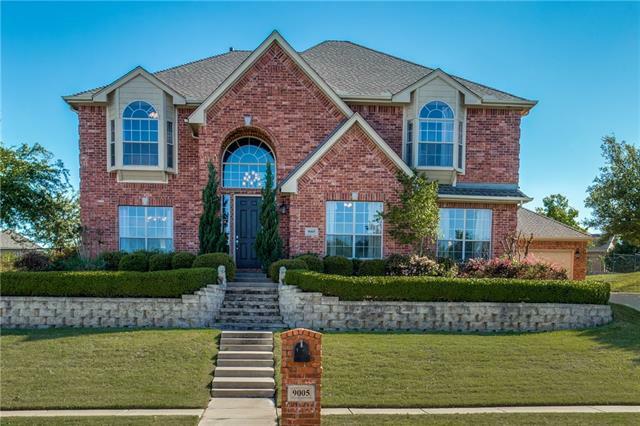 Flex sp"
"This Benbrook custom home sits on a peaceful street for your family's enjoyment. Conveniently located within walking distance to the Trinity Trails, 1 mi. 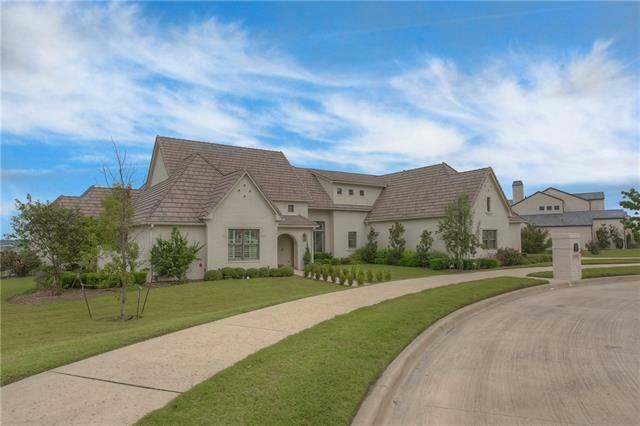 to Waterside, 2.5 mi to The Shops at Clearfork, blocks from Ridglea Country Club Championship Course. Every square inch has been freshly painted including ceilings, walls, doors, cabinets. Enjoy the hardwood floors spanning across living and dining room featuring 10ft ceilings and a wood burning fireplace. The newly improved kitchen features g"
"Stately home in Mont Del Estates situated on top of the hill overlooking the Pond. Freshly painted with neutral color. Beautiful Spanish tile flooring adorns the downstairs area. There are so many features of this home, there's not enough room to add here. Tons of storage, door activated lighting throughout the home. Secondary garage for additional vehicles or extra storage. The master bathroom is spa-like with separate sinks, bidet, garden tub and separate shower. Spacious walk in closets with "
"Beautiful home in a quiet gated neighborhood on a cul de sac with amazing views. Open concept with beautiful finishes and built-ins throughout. Gourmet kitchen with granite counter tops. Unobstructed view of the pool from the living area, kitchen and breakfast nook. 2 Master suites with updated baths. Formal dining, study, and a game and theater room perfect for entertaining. 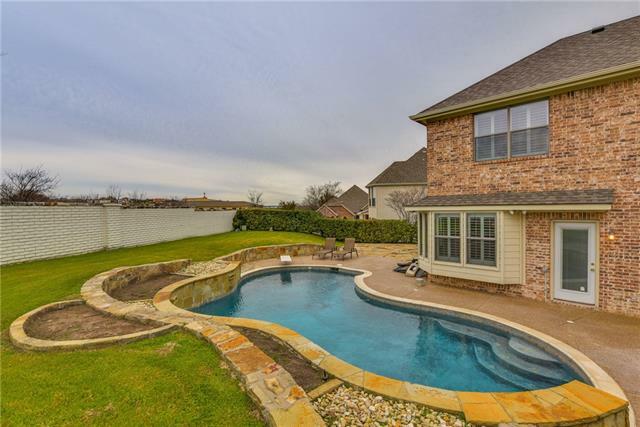 Beautifully landscaped yard surrounding the saltwater pool with large covered patio area; perfect for an outdoor ki"
"Better than new 2017 home with amazing upgrades including a backyard oasis featuring a heated and chilled pool, new pool decking, landscaping, and great pergola for shade and privacy. Large premium lot with room to play in addition to the pool and a great view of the skyline. Popular 4 bedroom floor plan with all bedrooms downstairs and a large bonus room with a full bathroom upstairs. Master bedroom is split from the other bedrooms and has large walk in closet and jetted tub. 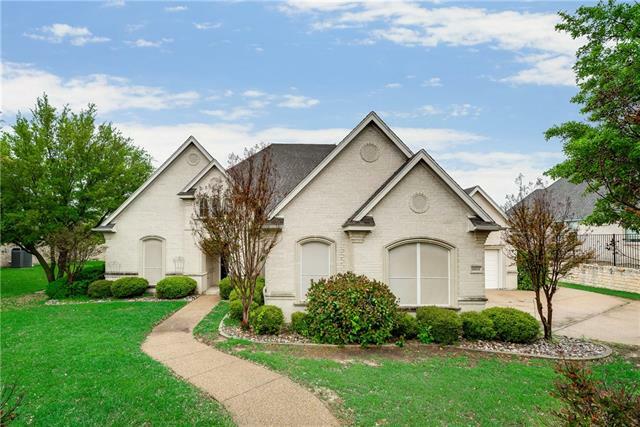 Open concept k"
"Impressive Tudor style home features luxurious landscaping fit for a Master Gardener complete with rock garden, concrete flowerbed border, crepe myrtles and oak, fern and magnolia trees. Covered patio and sunroom offer beautiful views of the backyard and Ridglea Country Club s Fifth Hole fairway. Steeped in tradition the front entry, formal dining and master bath feature classical decorative lighting. Decorative crown molding, plantation shutters and hardwood, stone & tile flooring throughout." 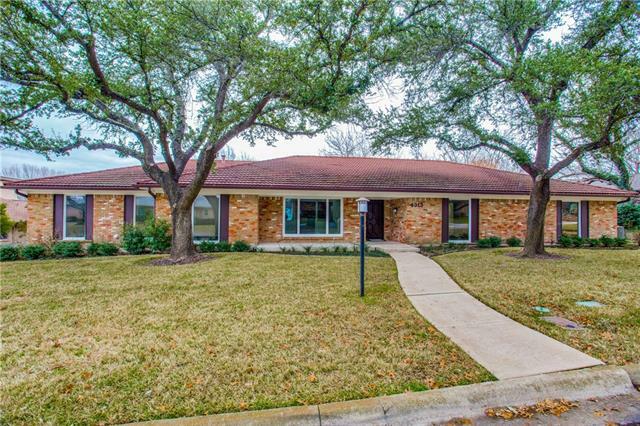 "Fantastic home in highly desirable Ridglea Country Club Estates. One is immediately welcomed by the curb appeal on this quiet street. Wonderful, open floor plan with four oversized bedrooms, plus a study on a huge lot. Three updated baths. Clean lines. Natural light abounds in the spacious living rooms with wood flooring, built-ins, and fireplace. Light and Bright Chef's kitchen with double convection ovens, mixer lift, custom soft close cabinetry, bar, and an abundance of storage and count"
"Incredible Custom Home, lots of upgrades, act now and help with selection process"
"Immaculate home in prestigious neighborhood. Fantastic view from patio and Master Bed. Flexible floor plan with different options. 4th bed. (split) has own bath,middle bed could be office or nursery, Formal living could be larger formal dining. Double car garage and single garage perfect for golf cart. Home has energy saver Solar City Power- Property in an Estate-no Sellers Disclosure." "This gorgeous home is located in the gated community of Reata West! Everything in his home is CUSTOM. Including the crown moldings throughout the ENTIRE home. 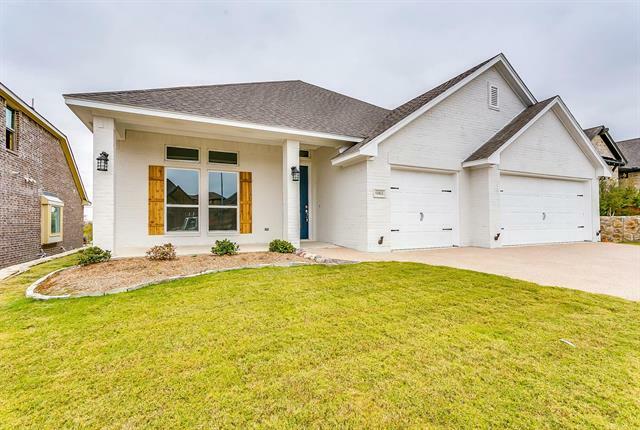 This home features 5 bedrooms, 3.5 baths and an open loft with media built ins. The flooring is solid wood with travertine inlay on the first floor and solid wood throughout the rest of the home. This home is the definition of elegance and taste. The kitchen boasts granite countertops, double oven, and stainless steel appliances. Plantatio"